Downtown Dimension editors sat down with Gary Dillabough to discuss Urban Community, which has invested almost $120 million on 10 key properties downtown. Plans are coming together for the College Football Playoff weekend in January 2019. The national championship game could bring as many as 100,000 people downtown. The city has placed its first buildings on the new neglected-building registry. SJSU will get a new science building. 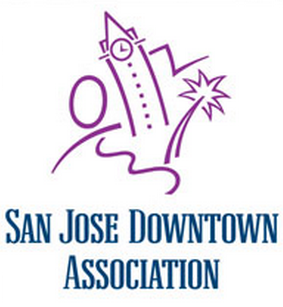 YOU are invited to SJDA's Annual Meeting, Oct. 12, 8-9:30 a.m. at San Jose First United Methodist Church, 24 N. Fifth St.
For information about downtown events, also subscribe to Downtowner Online.